Ride and Read! NEWS by Madness Photography - Onno "Berserk" Wieringa: Will YOU win this Indian Chief Classic?! Will YOUR Ticket be Drawn to Win This 2012 Indian Chief Classic? Since 2002, 10 lucky individuals from all over the United States have won new motorcycles from the National Motorcycle Museum...and provided important financial support to the National Motorcycle Museum at the same time. Entering the drawing is the only way you can get your chance to win. It only takes a few minutes to donate for your chances on-line. If it's more convenient, call the Museum at 319 462 3925 and use an electronic check or a debit card to make sure you have your chance to win! 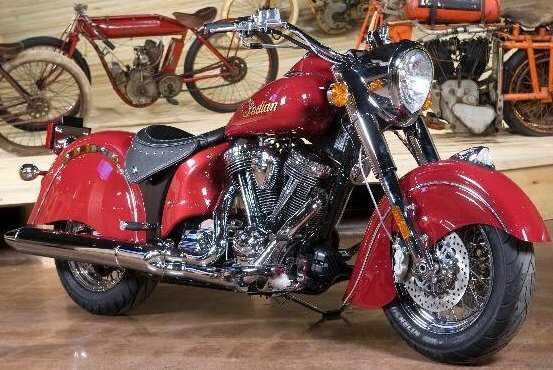 What's so special about the Indian Chief? It's #24 of the 110 Limited Edition Chiefs to roll off the new assembly line in Spirit Lake, Iowa. As a collectible motorcycle it comes with a special key fob, a certificate and even a cool sculpture based on the classic Indian fender light. Only 110 of each of the commemoratives has been made. The drawing is December 31 at about 2:00 pm. All internet ticket donations must be received by December 20, all mailed in donations must be received by the morning of December 31, 2012.